Simone Strobel and Tobias Suckfuell. GERMAN and Australian police are appealing for anyone with knowledge of what happened to murder victim Simone Strobel's clothes to come forward. Ms Strobel's naked body was found hidden under palm fronds at the old bocce club on February 19, 2005, a week after she vanished from the Lismore Tourist Caravan Park - across the road from the bocce club. Do you have information on Simone? Call Crime Stoppers on 1800 333 000. 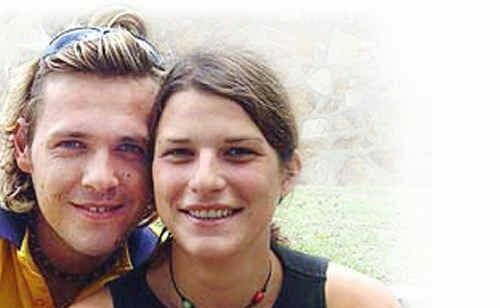 It is nine years this week since Simone was killed and German police have issued a 10,000 Euro (AUD$15,252) reward for information that helps crack the case. They have said the reward can be paid in Australia if a Lismore resident comes forward with new information. Detective Senior Sergeant Dave Mackie, of Casino police, said investigators were interested in talking to anyone who might have learned anything from a conversation since Ms Strobel's death that might help solve the crime. 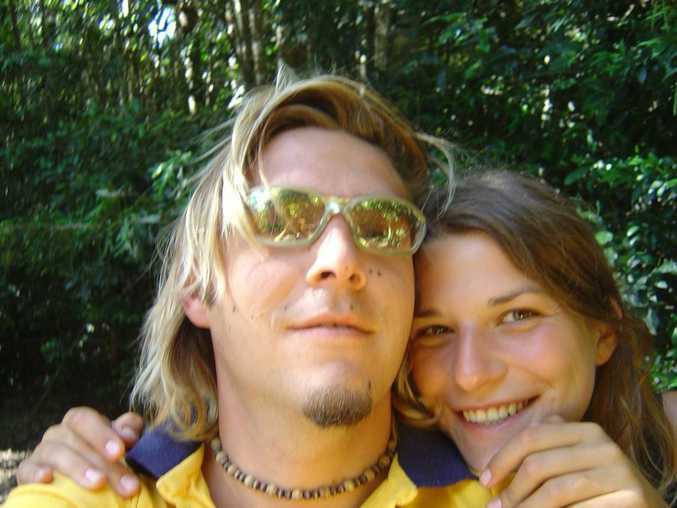 Det Snr Sgt Mackie said Ms Strobel and her boyfriend Tobias Suckfuell arrived in Lismore on the day she disappeared. 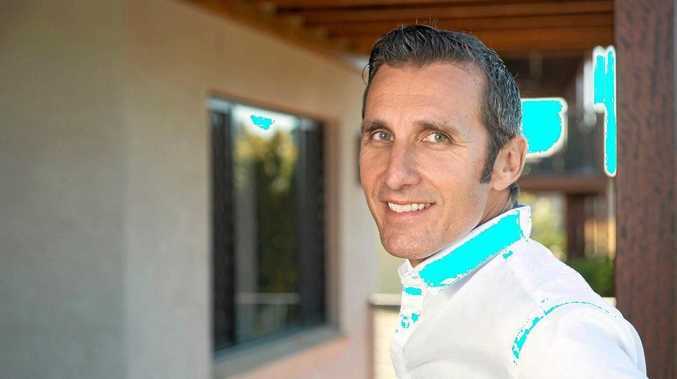 "On February 11, 2005, they checked in at the Tourist Caravan Park in Lismore, NSW and spent the evening together at a pub (the Gollan) in downtown Lismore and afterwards returned with friends to the campsite," he said. Police want to speak to anyone who has seen the red skirt or white pants Ms Strobel was wearing when she disappeared, and anyone who was staying at the caravan park at the time. Investigators would also like to speak to anyone who saw Ms Strobel, 25, Tobias Suckfuell, 24, Katrin Suckfuell, 28, and Jens Martin, 25, at the Gollan Hotel that night. Ms Strobel's parents Gustl and Gabi believe Tobias Suckfuell killed their daughter. However, they say they need to have the case solved to move on. "The answer to that (who killed Simone) would be extremely important for us," the Strobel's told their local newspaper Main Post. "Then we could finally say goodbye. Whether and how someone is punished for us is not so important, but we need to know what happened." Anyone with any information is urged to call Crime Stoppers on 1800 333 000. POLICE believe the prime suspect in the death of Simone Strobel, her former boyfriend Tobias Suckfuell, is living with his Australian-born wife Samantha Moran in Germany. Richmond Local Area Command investigations manager Detective Inspector Bernadette Ingram said the most current information police had on Mr Suckfuell was that he was living in Germany. In November 2011, Mr Suckfuell, who refused to return to Lismore for the 2007 inquest into Ms Strobel's death, was living with Ms Moran's family in their mansion in the Perth suburb of City Beach. On January 16, 2011 the couple placed an advertisement looking for work on the website Gumtree. "Hi there, we are a friendly, motivated couple looking for work around Margaret River/ Yallingup Area," the advertisement said. Days before his July 2012 wedding to the Australian, Mr Suckfuell and a Berlin man, 46, were arrested at a train station in Schweinfurt allegedly with a bag containing 300g of hashish and a knife. Mr Suckfuell had been known to drift among his family's village in Bavaria, the European ski fields and South African beaches, before he met Ms Moran, 26.